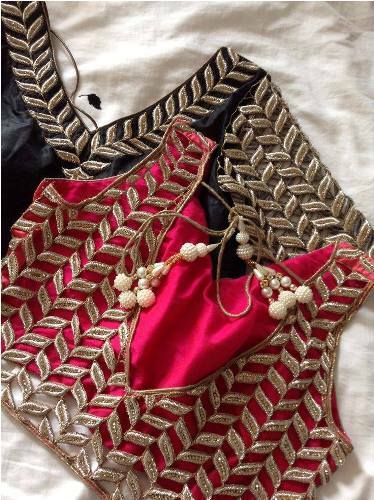 You don’t need basics of how amazing Bridal blouse design gets to attend an Indian wedding. So when it’s finally your turn, you are facing all the blues and get to know how equally difficult the whole process is. 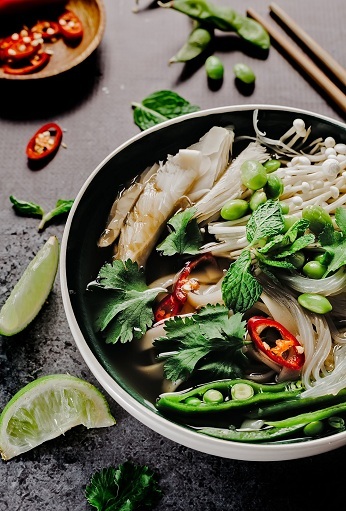 While everything is a priority right now, nothing beats looking your best. After all, with all the pictures and everyone staring at you, you don’t want to compromise with your outfit. You must have chosen a very gorgeous blouse to match your style statement, but you also need to know that if your blouse isn’t half as beautiful as your saree, that effort is wasted in its literal sense. Let we have to look at the top bridal blouse designs for wedding sarees. How to look stunning on your wedding day you ask, well then here, have a look at this velvet bridal blouse. The silver laces only make things better for you. Besides, the designer hasn’t missed a hint of golden either, thus finishing the look with a bang. This bridal blouse design is best worn with net or lace sarees that bring out the most of the velvet and the designs. If you adhere to the traditions and love how beautiful this Rajasthani blouse is, well, good news for you, it is a classic bridal look in Western India. This wedding blouse itself is sleeveless and has a high collar to brag of alongside the beautiful round slit in the back. The work on the blouse is making it look even better than the same old designer ideas. This is one of the most beautiful bridal blouse designs for ever said by the most of the designers. When you are looking for simple bridal blouse designs this one is so unique it most certainly will catch your attention. 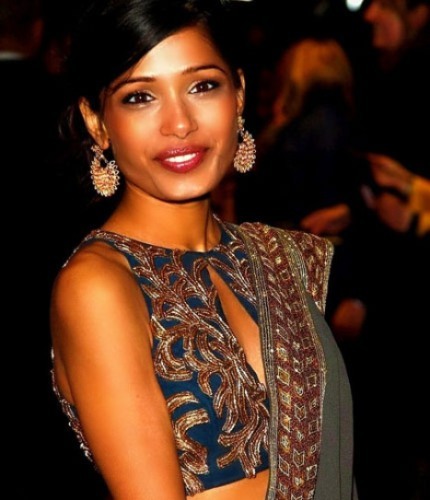 Frieda Pinto here is pulling off the look perfectly well, and the slit is adding to the chic and bold look. So, if you are comfortable enough, there is no reason to say no to this blouse. 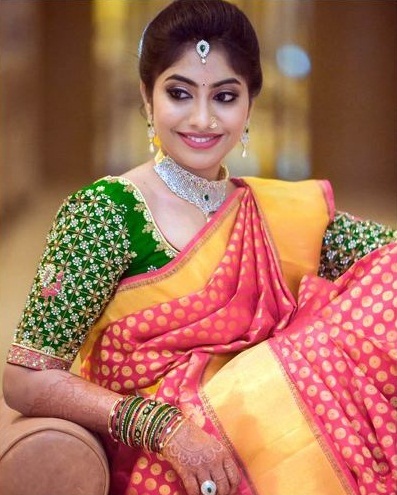 This blouse will suit silk sarees or banarasi sarees best; however, it is one of the most chosen wedding blouse designs owing to its simplicity. 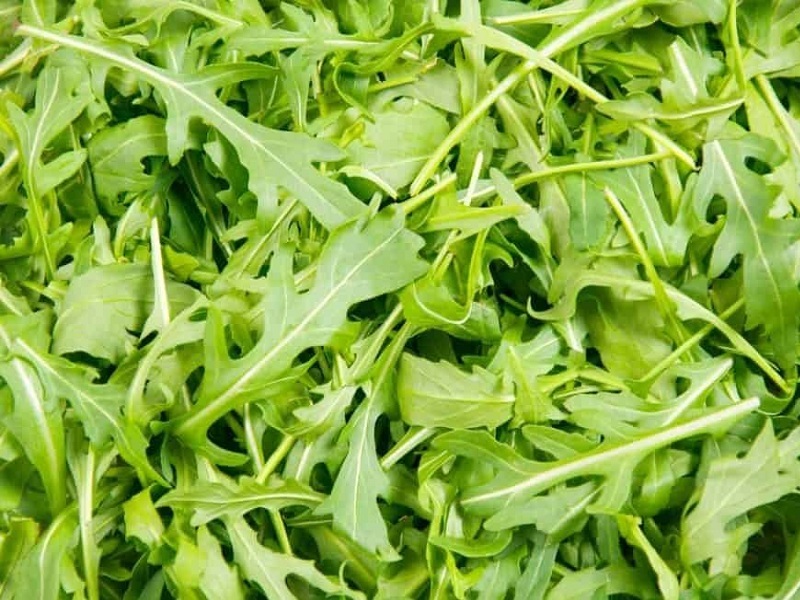 Nothing extraordinary, the color green is stealing the show with its contrast to the golden color. The saree is added alongside for you to have an idea of how gorgeous the whole look is. The stonework on this blouse is impressive, making it stand 5th on our list of bridal blouse patterns. The blouse is padded, and in case you were worried your seams showing, this blouse is your way to go. There are mirrors all over the blouse making it look classy. The neck of this blouse is rounder and broader than usual and the material is silk. The neck and sleeves are bordered well and the sleeves feature a simple and neat floral design all over. The saree here is of the same color as the blouse, but you can choose another coordinating color if you wish. The design of this blouse is absolutely praiseworthy. One end of the blouse is longer and is buttoned up with beautiful golden buttons on the other side. There is so much going on in the frontal side of the blouse that the best pick for it would be transparent sarees. There is a sequined work of leaves for this bridal blouse pattern. The zari work alongside in silver is equally amazing and the beads finally set the whole blouse apart. It is a smart choice for your wedding day. How can we miss featuring at least one full sleeved blouse on the list with that being a hit on the bridal shopping market these days? 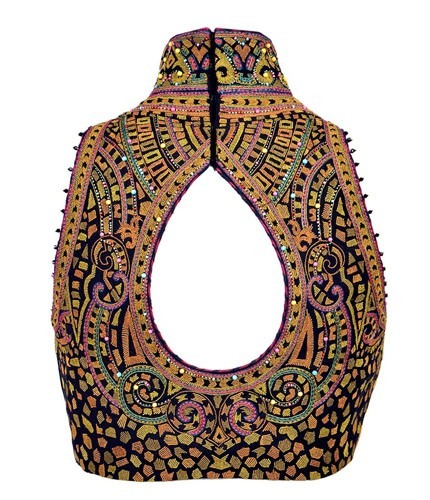 The blouse is black with copper embroidery on it and the material is silk as you can see. 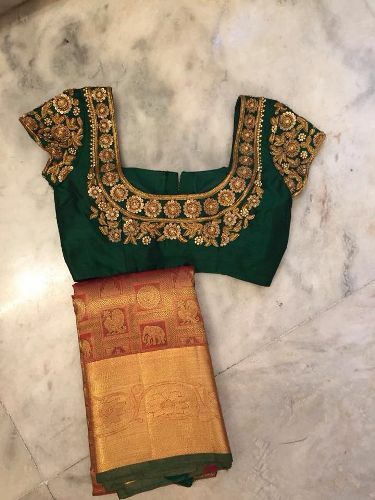 In case you want your blouse design to match your saree at all costs, this one is a designer bridal blouse option for you. 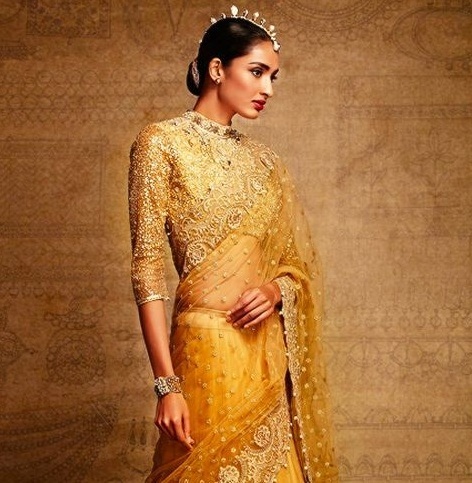 The golden lace matches the blouse perfectly with the saree. 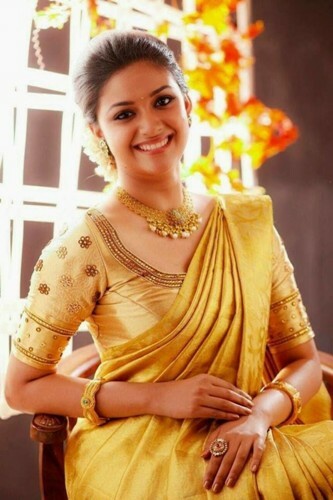 Most of the south Indian women prefer this type of wedding blouse designs. The blouse that you see here has a very small sleeve to brag of an excellent set of embroidery on it. This bridal blouse itself is deep necked and stringed on top. This is one of the latest bridal blouse designs which can definitely allure attention of all in that wedding day. 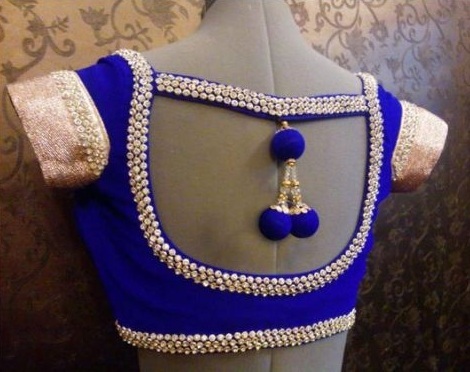 This latest bridal blouse design brags of a very beautiful back with embroidery and stone work all over. It has bordered sleeves as well and a high neck that sets the whole design apart. You can see this type of bridal blouse designs in Bengali culture. Vidya Balan is seen here mastering the look of a bride perfectly with this blouse design. It is full sleeved and simple, but still manages to lay an appeal. Most of the north Indians wear this type of modern bridal blouse designs. After see the beautiful design then you say it is one of the most excellent wedding blouse designs for women. 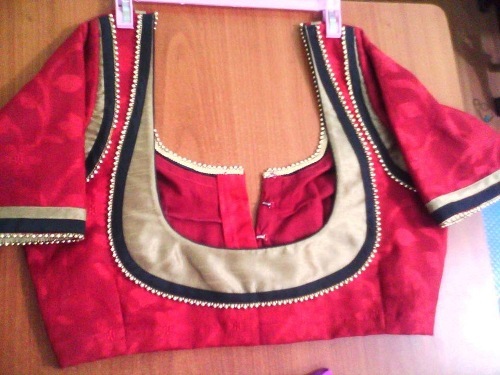 Here is a commonly seen blouse with zardosi framework and embroidery alongside. It is essentially maroon, with golden laces and a bare back to brag of. The final blouse that you can lay on your eyes on here is a simple blouse with multicolored thread work. It is equally sophisticated and attractive, and can be worn by people of all ages, to look different and stand out amongst the wedding crowd. This is a pretty beautiful green blouse with a little display of blue on it. 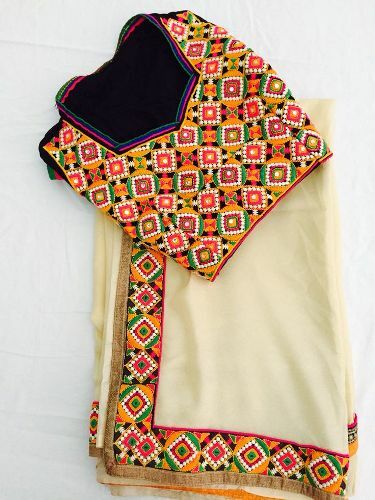 The blouse is hand-made and the beauty is displayed from every inch of cloth in this traditional piece of magnificence to be worn by beautiful women at almost all events, especially weddings. The back of the blouse displays a strap like pattern, with attachments that make the whole design look even more alluring. Who wouldn’t want to wear a blouse which has been claimed as one of the best blouses with awesome neck designs suitable for wedding? Well, this is something different. Here, we can see the totally alluring beauty of the well-designed neck work done on the blouse. The color of the traditional saree companion is really eye-catching and it will be suitable for women, who have a slim physique. If you have a chubby physique, then the bulgy nature of your body might the ruin the beauty of this thing and make it look like a mess. So if you have a slim physique, then you know which blouse to wear. 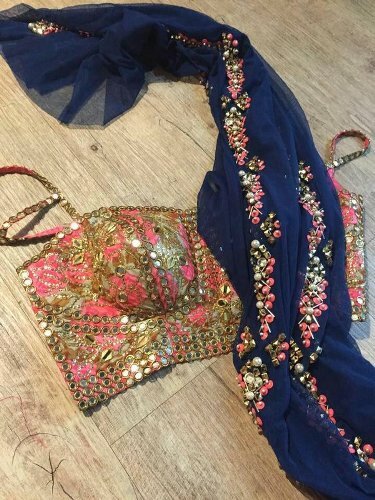 Looking for some saree blouse neck designs for wedding? This is a pretty cool one. The contemporary style blouse will be suitable for all women out there and it displays an awesome design done on the part that will be on the neck. This is probably one of the most beautiful blouse designs that a bride will ever come through. The blouse is specifically intended for the bride and the bride only. If a women just attending the wedding would wear this, then this can make her the center of attraction and you definitely don’t want the bride to have a bad impression on you. If you are planning the perfect blouse for the special day of your life, then this is a pretty good blouse. It comes with a green base and a lot of great machine-work done om the sleeves, shoulders, and the neck portion of the blouse. Clearly, it is one of the best designs you have ever seen. The blouse will be look the best on women with a slim physique. If you are in need of some blouse neck designs for wedding sarees, then this will be one of the finest ones out there. The blouse comes with a cute pattern along with sparkling attachments. 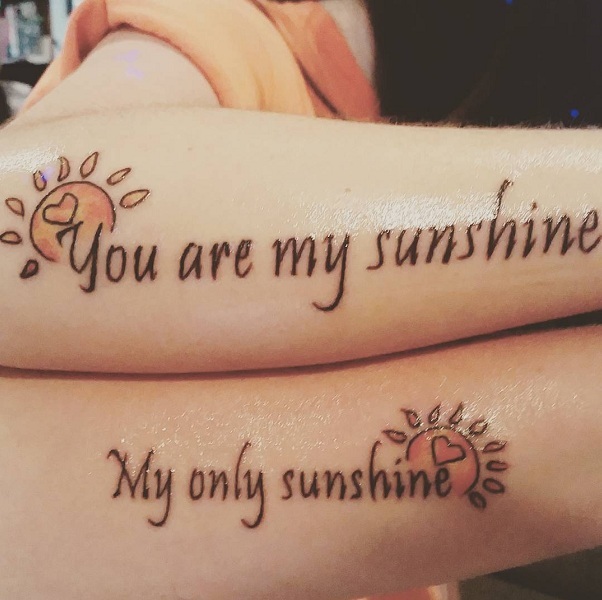 If you are looking for something unique for the wedding, then will be a pretty awesome choice. Other that that, this design has been approved by most women as the blouse is simple to be worn and can be easily made to fort almost anyone. So, if your choice is towards the comfortable as well a beautiful blouse, then you know what is best for you. 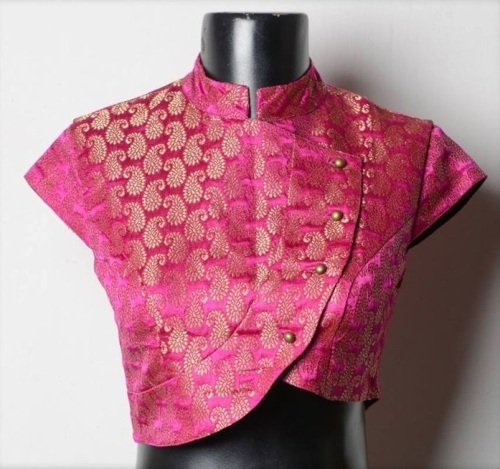 This particular red wedding blouse comes with an awesome neck design and the pattern done at the front and on the sleeves are also quite alluring. If you are looking for a trendy blouse, then this will probably one of the best-looking blouses of all time. It sports a really good color and the design on the blouse is also quite attractive. In need of a blue blouse? This is a pretty good blouse that sports an awesome pattern throughout the clothing item. The attachments used are very alluring. If you are looking for bridal blouse that will suit almost any saree, then this one is really awesome. 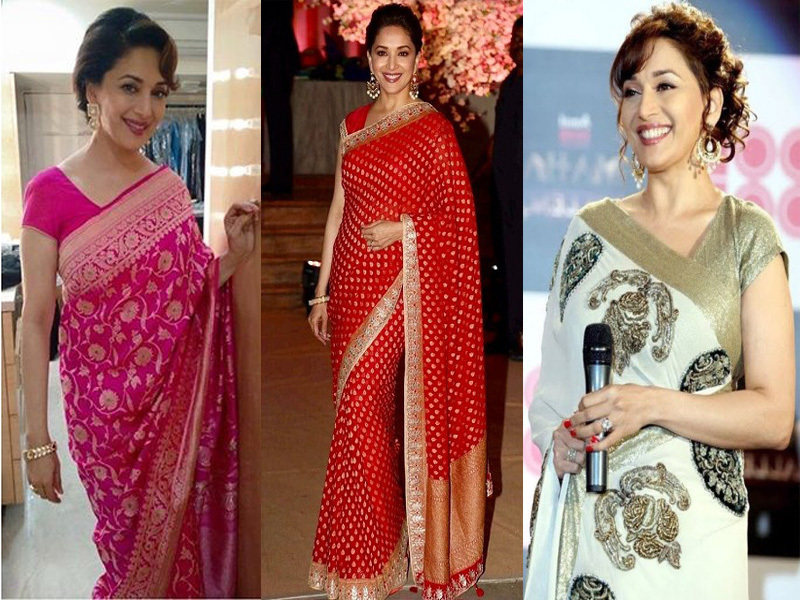 A lot of women look for neutral color so that they can decide at the end moment what saree they will wear and rock that with a neutral colored blouse. 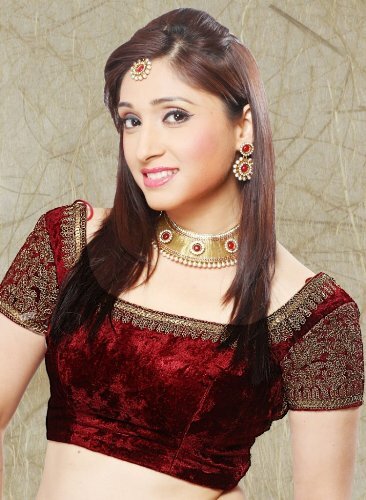 This particular designer bridal blouse will be suitable for almost all saree designs. It comes with a beautiful design and can be sorted by women of almost all ages. You can wear such stuffs, if you are not getting married and just attending the marriage ceremony. If you willing to go for something red then choose the bright ones. They are the best and sport a South Indian vibe as well. This particular design comes with great decorations that are probably done with the help of hand, which makes it even more special. The blouse suits the saree perfectly and makes the bride look even more beautiful that she looks with her alluring face. These blouses are generally sported by celebs at wedding events and now can pretend to be one by sporting it at your own wedding. If you have a bridal saree matching or even contrasting color to anywhere near purple, then this blouse might be the perfect thing for you. It comes with beautiful designs in he front and for it’s unique pattern it can be said to be one of the best wedding saree blouse designs. A lot of women will be inspired by this design and run to their stylist to make them a similar blouse. This will create rave among the blouse-lovers and by wearing it, you will look like a grand success. 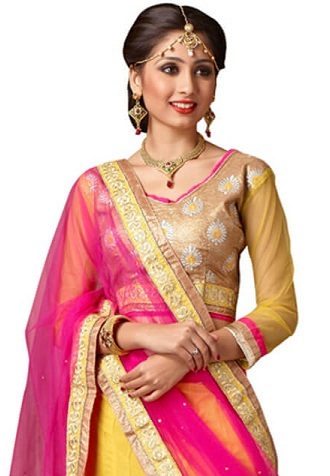 Looking for the latest saree blouse design? 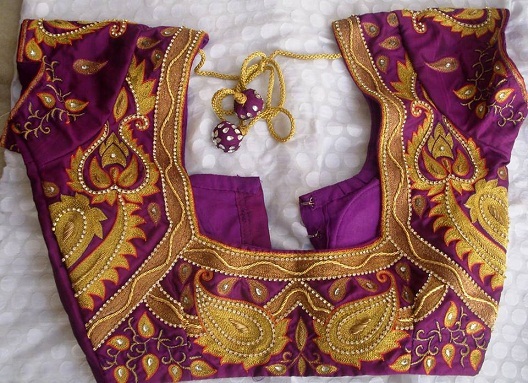 Here is an awesome one, which is a typical Kundan blouse and has a beautiful cloth color and cute patterns done on it with the help of artificial decoration materials. The blouse can be worn with a white saree and a light red one as well. It is a pretty blouse and any woman will wear it willingly. The back pipe neck pattern makes it look even more beautiful. If you are going for the bridal saree this year, then here is a really awesome design. The back of side of the blouse looks very beautiful with all the work done there. It is probably one of the best-looking blouse designs that you will come through this wedding season. The delicate work done at the back makes this blouse look very unique and the sleeves are also quite beautiful. In brief, it can said that it is one of those blouses that anyone would want to wear with love. The rope pattern at the back along with the attachments makes this blouse a great-looking one. This is a pretty cool blouse design that is different from the ones discussed here. It sports a great color along with some unique attachments that make it so beautiful. If you are looking for the designer blouses, then this one of probably one of the finest ones to sport at weddings. The alluring patterns done on it differentiate it from the ones discussed here. These days, getting a blouse that is at par with the design of your saree is as easy as day because of the advent of online shopping. The websites allow so many options and in different styles that it is hard to decide for the one lucky blouse for your lucky day. 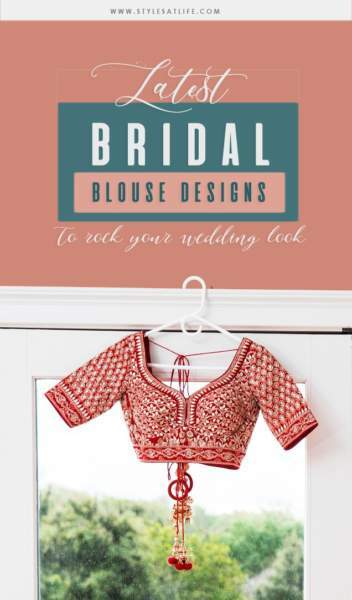 Which we why, we hope with these top 30 latest bridal blouse designs that are big on the market; we made your decision a teensy bit easier. These are some of the blouse designs for bridal sarees that you can pick from. Rest be assured, you will definitely catch the attention of the guests. Since the bride is the most important person on the wedding day, these blouse designs will make you feel so.